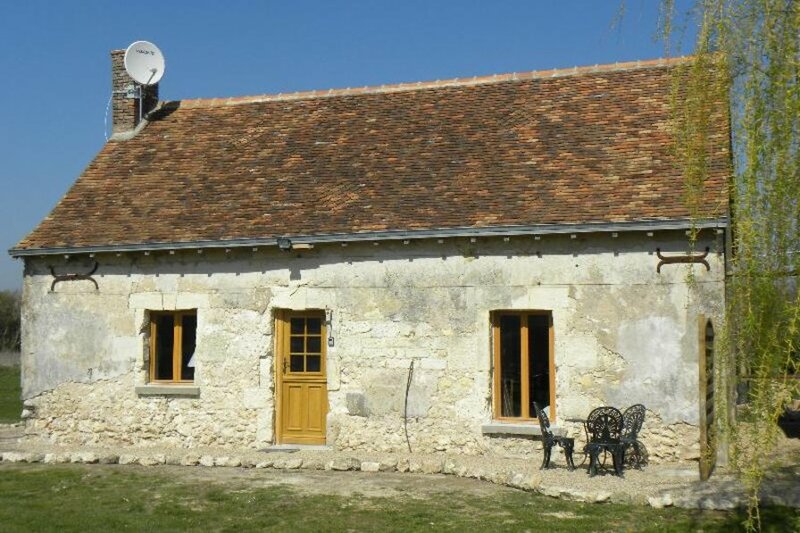 Le Bûcheron is a 250 year old farmhouse set in a small hamlet close to the village of Meigne le Vicomte that has recently been fully refurbished to an exceptionally high standard by the owners. In 2010 a large above ground pool (20 x 12) was added to the south facing aspect as well as free high speed wireless internet and free telephone calls internationally. The property comprises of 800 square feet of accommodation which is all on a single ground floor level. The cottage is ideal for couples, families with younger children and those who have limited mobility. Primarily based on an open plan design the main living space is made up of a stylish and well equipped kitchen, a large living room and dining area. Four our guests comfort there is a large screen TV, DVD player, Skybox with UK free to air channels together with an iPod dock and seating for four people all set around the feature fireplace and log burning fire. There is high speed Wi-Fi internet throughout the property together with a phone that accepts incoming calls as well as free outgoing calls to most parts of the world. In the bedroom there is a double bed and two single beds with superb views over the south facing garden and the farmland beyond. The bathroom has been designed as a wet room with a large shower, incorporating hydro-massage jets, and high level toilet. There is also a utility room which contains a washing machine and drying rack. Outside the property is set in 2 acres of land, which is mainly laid to course lawn, and for your enjoyment there are terraces on both the south and west side of the cottage. On the West facing terrace there is a large 4 seat hardwood table set with a parasol together with two full length sun loungers. A Stainless Steel charcoal BBQ is provided. Surrounded by open countryside and farmland on three sides the property enjoys a private sun terrace facing west with hardwood outdoor table and chair set with large parasol and charcoal BBQ. An ideal end to a hard day of relaxing is best spent on the patio with a large glass of wine watching the sun set.